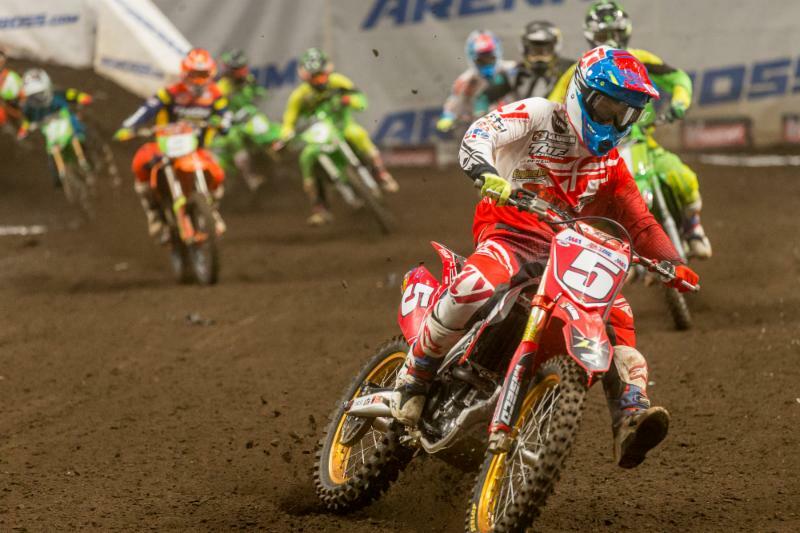 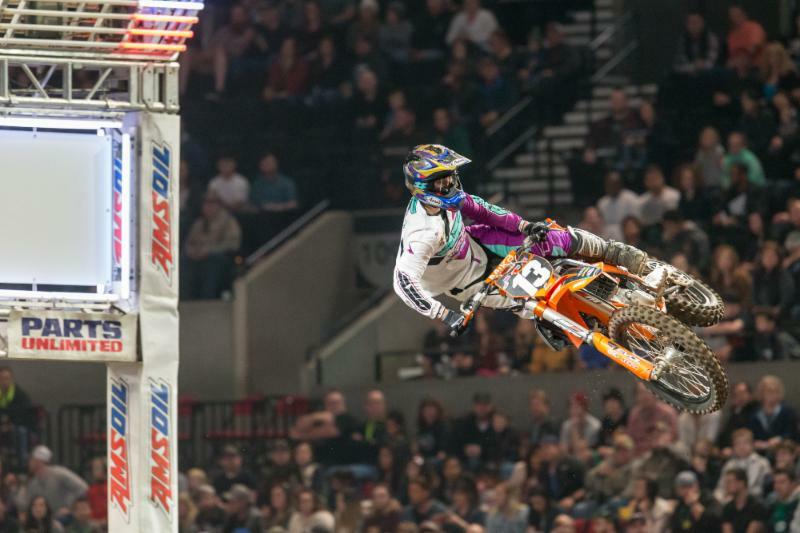 PORTLAND, Ore. (March 18, 2017) – The battle for the 2017 title officially got underway on Saturday night as AMSOIL Arenacross’ Race to the Ricky Carmichael Cup kicked off inside Moda Center. 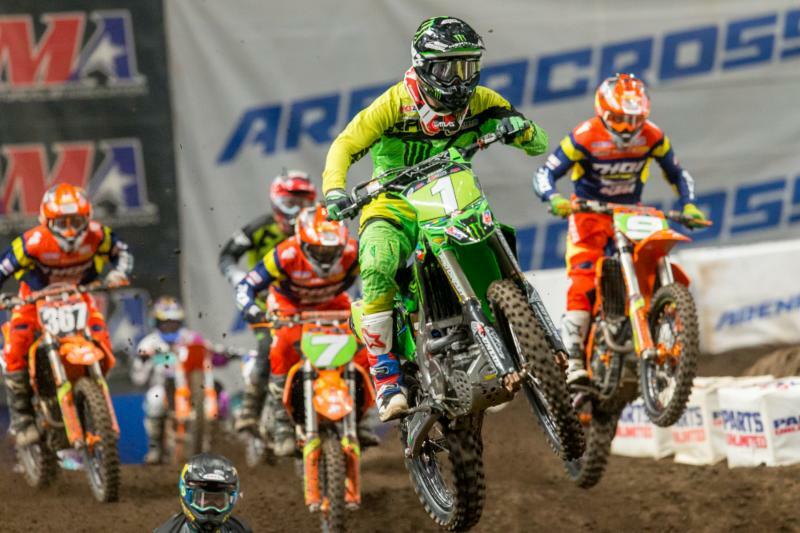 Capitalizing on his championship-winning experience from a season ago, Team Babbitt’s/Monster Energy/AMSOIL Kawasaki’s Gavin Faith made the first statement of the playoff-style title fight by taking a crucial overall victory in the opening round. 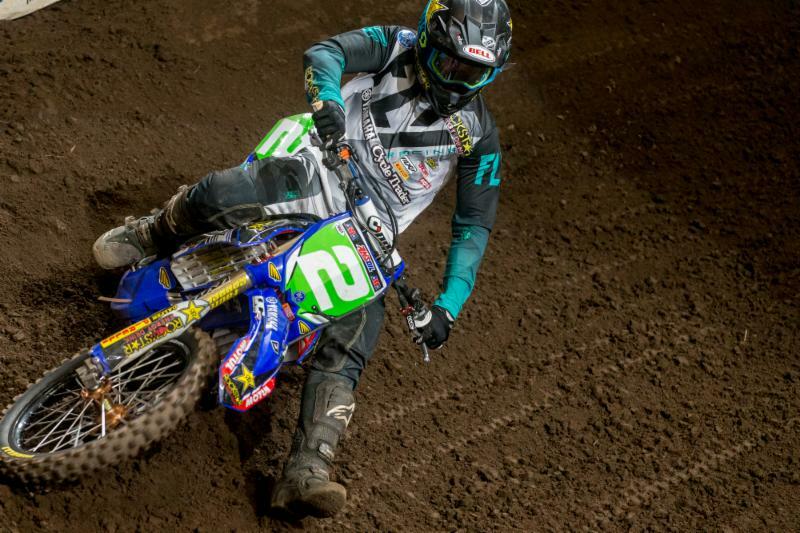 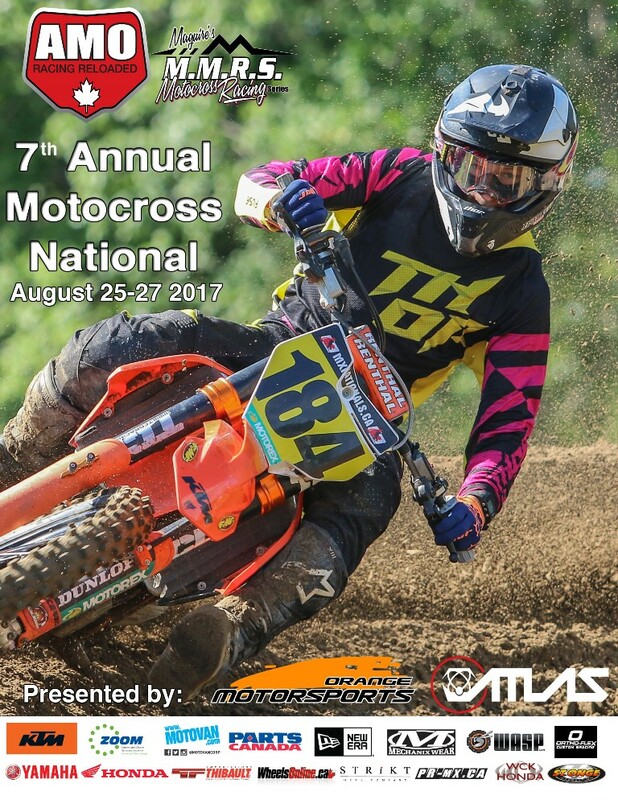 In the Western Regional AX Lites Class DrivenMX Racing KTM’s Jared Lesher took his first win of the season in an eventful Main Event that helped vault him to the top of the championship standings.